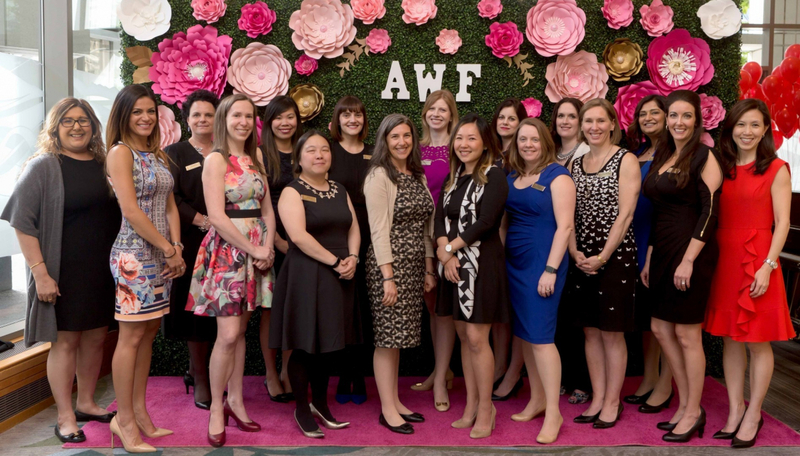 The Association of Women in Finance (AWF) is dedicated to supporting the advancement of women in finance. Quite simply, we exist to encourage women finance professionals to claim their seats at boardroom tables. Women remain under-represented in top leadership positions and on corporate boards. Involving, connecting and developing women in the business community through events like our Economic Update, Real Estate forum and Fireside Chats. An important part of the AWF’s mission is to encourage young women to enter the field of finance. One way we meet our mandate is through our scholarship and bursary program. Through your generous contribution, the AWF is able to help bright and talented female students achieve their academic goals. Our scholarship and bursary recipients are women who demonstrate financial need; many recipients are immigrants, returning to the work force after a long absence, or mothers with dependents. For questions about this fund or Vancouver Foundation, please contact Kristin Helgason at 604-629-5186.